Into Darkness: slipstream at its best? I'm not a huge fan of slipstream scifi (alternate but parallel realities), but I thought the new Star Trek movie Into Darkness did a pretty good job. Without giving the plot away, it is a parallel version of one of the earlier (and best) Star Trek movies, but with some twists that make it resonate back to the original. The action is more contemporary, as is the violence, but the new Kirk (Chrs Pine) does a good impression of being the slightly spoilt little boy played to such effect by the original (William Shatner). The film is about growing up and making sacrifices, as opposed to being a 'chancer' trusting the lives of his crew more to luck than judgement. There is a great dressing down speech given to Kirk early on about this, by Bruce Greenwood. Does Ben Cumberbatch (the baddie) steal the show? Almost, but not quite. 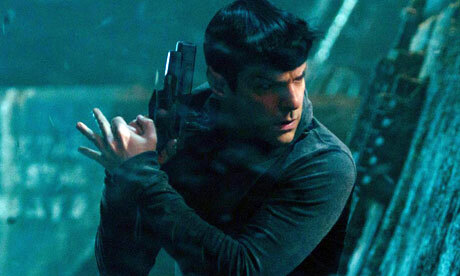 Zachary Quinto as the new Spock puts in a good performance, more so towards the end of the film when the ultimate sacrifice has to be made. 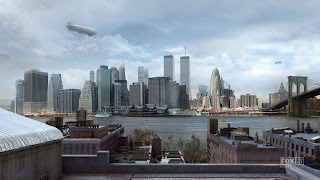 Slipstream scifi - the idea that there are infinite parallel universes out there where we could have made different decisions, and hence have different lives, has never greatly appealed to me as probable. What is normally portrayed is a slightly different scenario than we are used to, but one that is recognizable with the same characters, albeit maybe with different personality traits, and with different partners. But if you think about it, such universes would quickly diverge, and since characters would marry different people and have different children, then parallel characters (in looks, if nothing else) would be unlikely after one or two generations. In scientific terms, even if there are such parallel universes, I see no reason why they should resist divergence and stay so 'parallel'. 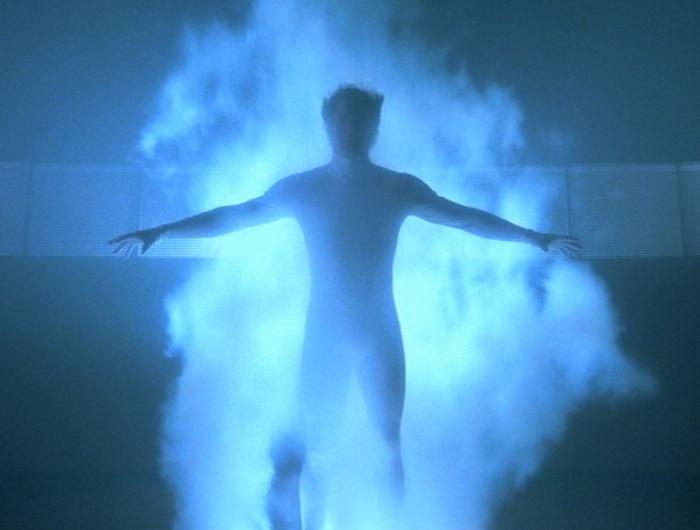 Nevertheless, the late '80s/early '90s show Quantum Leap played this theme well by studying different possibilities for society, rather than different scenarios for individuals. The series made me think, even if the acting was sometimes wooden and the plots thin, and Scifi should make us think about those possibilities, right? A lot of good slipstream fiction has focused on how society would be today if certain wars had had different outcomes, or if for example we'd gone mad on steam power as opposed to electricity (leading to 'Steampunk scifi). Quantum Leap held true to its focus on social outcomes that could be different to where we are today, some better, most worse. My favourite slipstream at the moment is Fringe (seasons 3 & 4). Okay, it focuses on characters. But those characters have been made so compelling by the series, and the detail and thought that has gone into different technology and artifacts (e.g. the 'Show-Me' card) make it interesting. 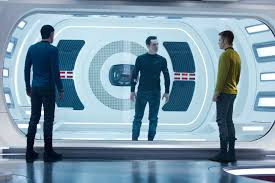 Coming back to the Star Trek movie, what impressed me about Into Darkness was the symmetry played out in the final quarter of the film, focusing on a single act of sacrifice made by one of two friends, but reversed from the original film. For Trekkies (yeah, I am one I suppose), it is like a mirror-image version of the original (and I'd have to say slightly better) version, but the two together make the experience richer. Underpinning most slipstream is a natural desire to believe that if you're screwing up your life in this version, you might be making it a lot better in another parallel universe. For me, part of the 'darkness' in the film is perhaps the unspoken irony that most probably, if we screw up here, we screw up everywhere. But this is a Hollywood movie, and it's Star Trek, so you know it's going to come out alright. In any case, the film has a tribble in it, so you have to watch the movie just for that, right?